In this dynamic world, the best way to control is to limit the approvals levels. Samooha Project Management Module allows to restrict users up to certain progress to be later checked by senior management and approve the transaction. 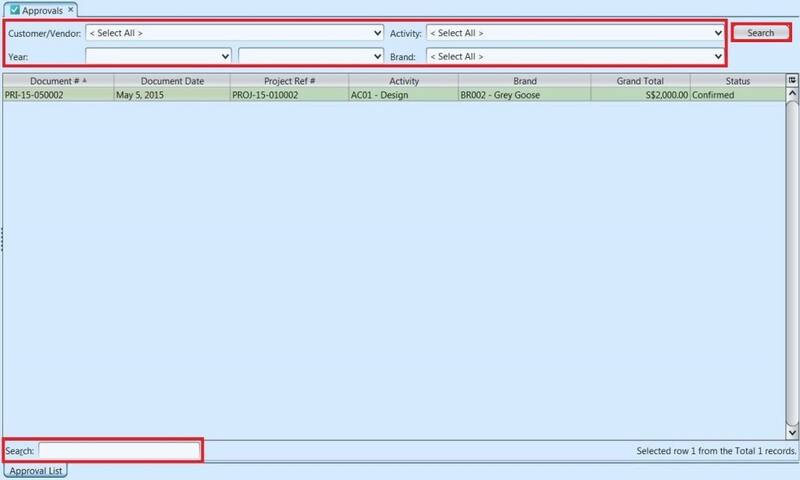 The Approvals (Project module) process allows the user to manage the approval of project documents, i.e. purchase orders and proforma invoices. This view helps approving authority in checking project documents transactions and faster approval of project documents. For example: Mr. Junior has requested a purchase order but he may not have authority to confirm the purchase order. He will request Mr. Senior to confirm the order. Once Mr. Senior confirmed the order, it has to be approved by Mr. Approver (Mr. Approver may be a finance manager). 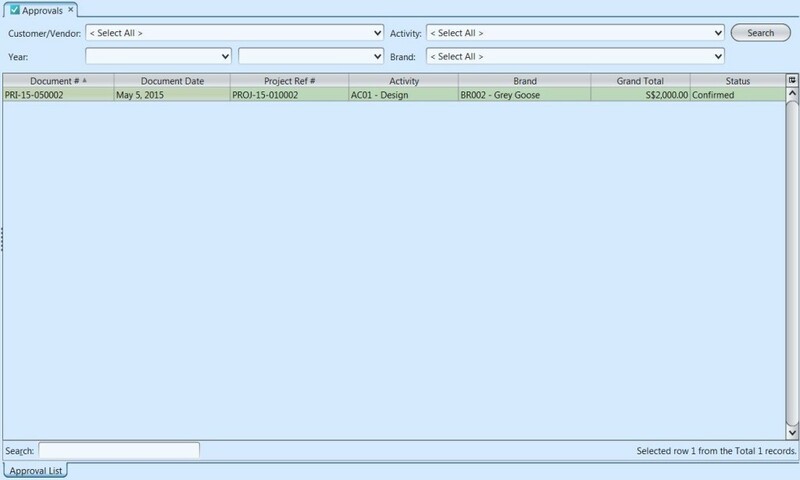 “Approval List” tab will show all the documents appearing for approval, therefore for a quick identification, user can refer to the document code, e.g; PPI means proforma purchase invoice and PRI means project sales invoice etc. Please refer to “Organization – (Masters) Document Sequence” for complete list of the documents’ codes. NOTE: Only documents that need approvals will be listed in “Approvals” view. Once a document is approved, it will not be shown under the “Approvals” view anymore.